PROBLEM #1: Your arrangement doesn’t feel done, you feel like you could keep adding parts. 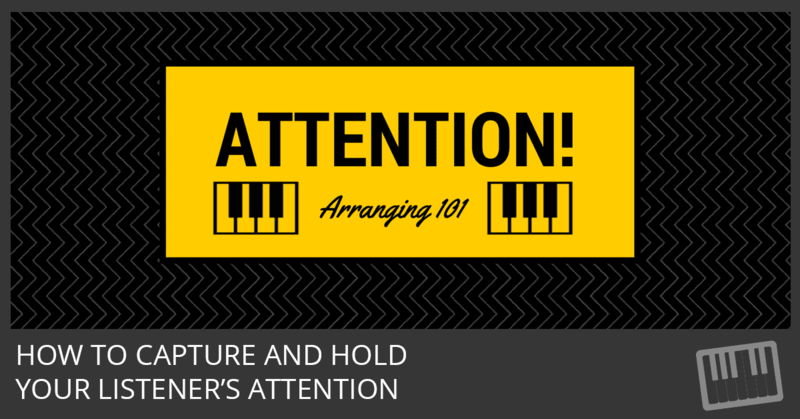 How will you know when you’re arrangement is done? If you can answer that question in detail, then you can call yourself a skilled arranger. Because a large part of an arrangers job is project planning. You have to plan how the arrangement will sound when it’s finished. If you had a job as a traditional music arranger, you’d get calls to write music for other musicians to play. You might be asked to interpret someone else’s composition in addition to arranging your own work. And you probably used pen and paper. When analog recording came around, you might not need pen and paper anymore, but you would still arrange all your parts before you press record. Studio time is expensive so you want to have your parts written and practiced before you begin recording. You can arrange pre-recorded media like Apple Loops and never touch an instrument, let alone know any music theory. You can start mixing audio before you’ve finished composing. And you can keep adding and adding tracks without ever having to commit to anything or worry about going over budget. We don’t have to mic up guitar amps, tune pianos, or pay for studio time. We can spend a lot more time creating and tweaking. The job of the arranger has gotten fuzzier. The ability to arrange music has grown beyond educated musicians to anyone with GarageBand or Logic Pro. More and more people can become music arrangers. The one thing that hasn’t changed is to figure out what instruments should play and when they should play. 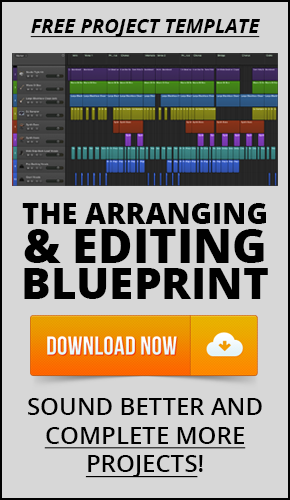 If you plan your recording process, then 80% of your arranging job is already complete. When you plan your tracks and recording session, you’ll have a clear set of boundaries to make arranging much easier. As you’ll find out, it’s difficult to practice good arranging fundamentals until every part is recorded. If your arrangement doesn’t feel done, you’re not finished recording. Take a step back and plan all your basic tracks and overdubs. 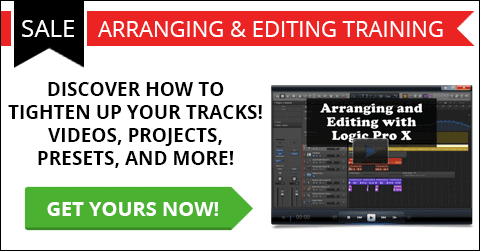 I’ll show you how to plan your tracks in the final post in this series. PROBLEM #2: You have too many parts and tracks that result in a cluttered arrangement. It’s natural to record more than you need. Good recording planning will take care of 80% of your arranging needs. Go the rest of the way by muting the clutter. After you’ve recorded your basic tracks and overdubs, look for clutter and remove it. That’s called skilled arranging! But what makes a good arrangement? PROBLEM #3: You don’t follow the 5 fundamentals of great arrangements. 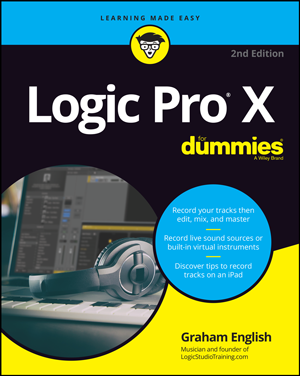 For a closer look at the 5 fundamentals of great arrangements, read this: 5 Tips for Building Great Arrangements with Logic Pro X. Knowing exactly how to capture and hold your listener’s interest is going to solve your arranging problems. Next up: Stop wasting creative time with boring and repetitive editing tasks… How To Save Time and Reduce Audio Editing Hand Cramps!